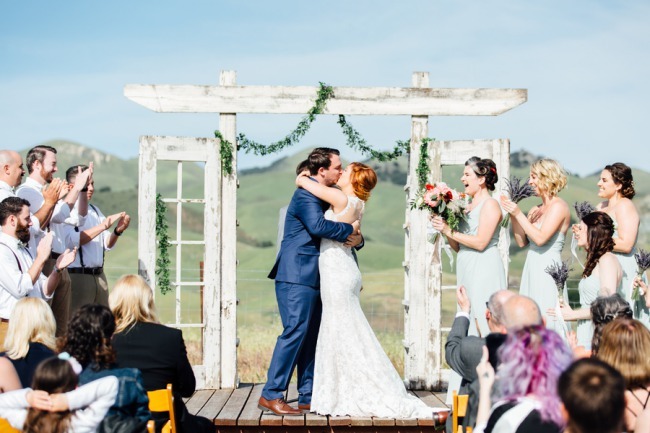 With summer officially only 2 weeks away, you may be looking for some last minute favor ideas for your big day. 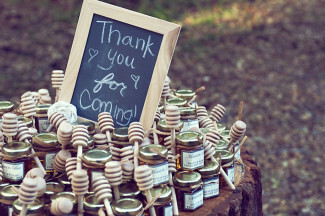 Here are 14 cute summer wedding favor ideas that are perfect for any upcoming wedding. Does grandma have a good family jam recipe? 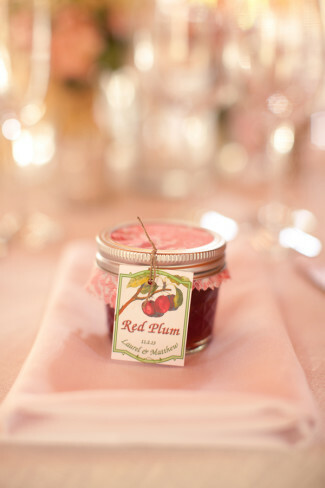 Make a DIY jam date with all your girls and make your own jam wedding favors. A classic summer treat is a refreshing glass of pink lemonade. 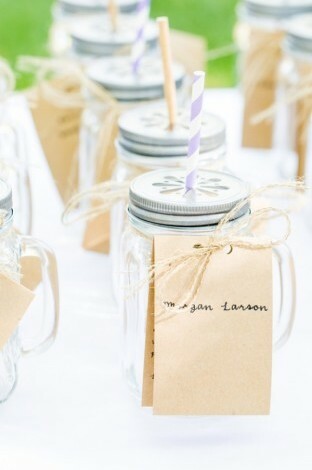 Not only can guests use these Party Plastic Mason Jars during the reception, but they can bring them home and use them over the summer. Who doesn’t love a succulents plant? 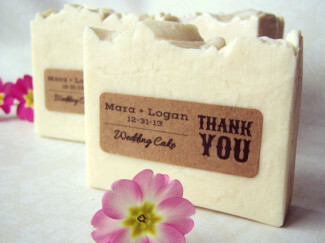 They are cute, easy to maintain and make the perfect wedding favor. 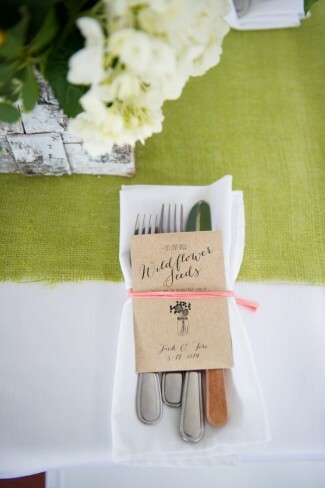 Give your guests a memorable wedding favor with these wild flower seed wedding favor packets. Who doesn’t remember long summer nights spent sitting around a camp fire and making s’mores?!? 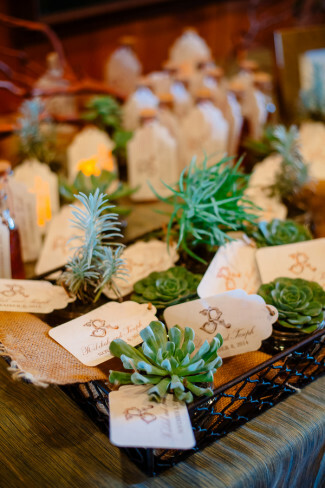 Give them a yummy S’more favor to remember your wedding. 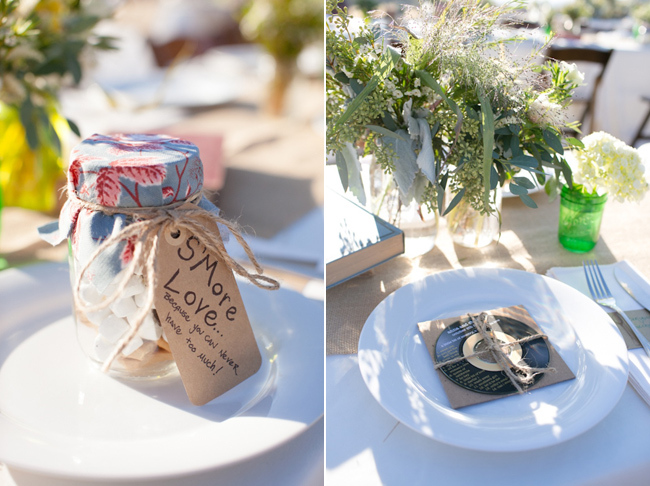 Put together a collection of your favorite summer love songs and burn onto a custom labelled wedding favor CD — some people still have CD players! 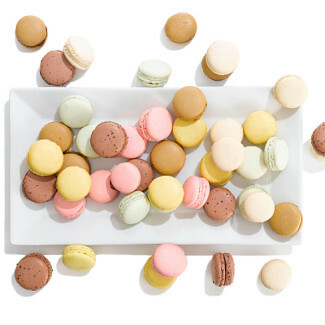 These little treats will probably be eaten before the night is through, but Classic French Macaroons are the perfect late night treat and wedding favor. 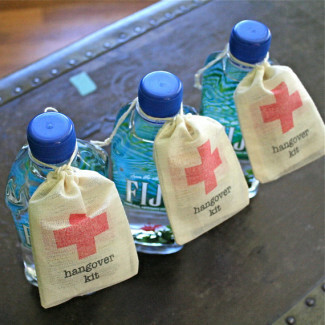 Perhaps you are heading south for the sunny shores of Mexico and you ave a good group of partiers on your hands, a Hangover Kit may be just the thing they will need. 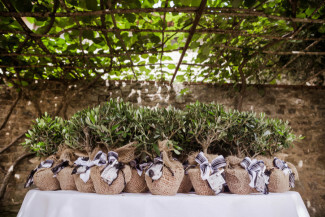 This bride and groom opted to give wedding guests a planted olive tree. 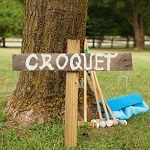 Give your guests a unique gift to help the environment, and look pretty in their yard! Pooh bear is a fan and your guests will be too. The sweet summer treat of honey with mini honey drippers. 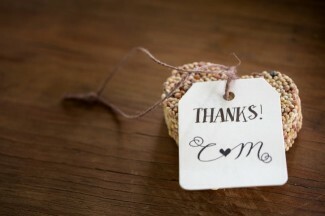 Give your guest something they can hang in their backyard (and enjoy the lovely view of birds) with these beautiful bird seed heart favors. Remember the long days of summer as a kid? You’d save your allowance and spend it at the candy store on the 5 cent sweets. 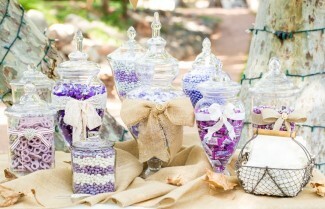 Bring those good ol’ summer memories back with a thank you wedding favor candy buffet. After a long night of dancing, guests will want to lather up in the shower. 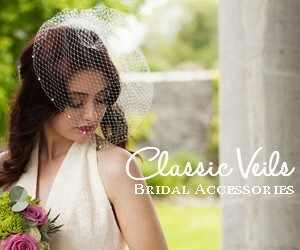 Give them a lovely bar of goat’s milk silk soap. 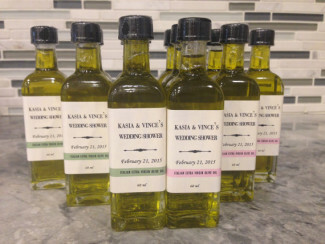 You can custom tailor the smell and color to match your big day. A favorite treat of mine is fresh bread, olive oil, and balsamic vinegar — no matter what season! Yumm!! 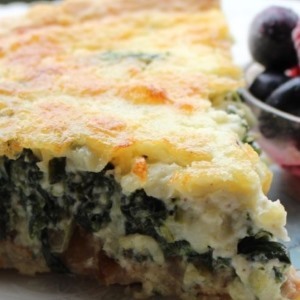 Give them a snack time favorite that they can enjoy on their patio this summer.